Are Questioning if Your Drinking or Drug Use Has Become a Problem? Does it seem as though everyone around you drinks, and it’s difficult to know what’s healthy? Have you promised yourself that you would only drink or smoke weed, but now you’ve experimented with something that seems more serious? Have you begun taking more and more of your prescription medication in order to feel relief, and now your doctor refuses to prescribe more? Is it difficult for you to imagine life without alcohol or other substances, even though your use has begun to strain your relationships or impact your work? Maybe you’ve decided to stop smoking cigarettes, but worry that you won’t be successful (or you’ve tried before and started smoking again)? Do you wish you could feel in control of your life again? If you are wondering whether your substance use has become a problem, you might be feeling overwhelmed, confused and even out of control. Maybe friends or family members, including your children, have begun to share concerns about your drinking or drug use. Perhaps others have told you that you’ve been acting strange, but you struggle to remember specific events or what they might mean. You may have recently found yourself at home after a party without knowing how you got there, and the idea of driving while drunk or high fills you with fear and regret. Or, perhaps you have just found out you are pregnant, and now you know you have to stop using, but don’t know how. You might feel unable to fall asleep without your substance and sometimes wake up in the middle of the night, craving another drink or hit in order to go back to sleep. Maybe you frequently wake up feeling hungover, drowsy or nauseous, and it’s difficult for you to start the day. You might promise yourself that you won’t drink or use drugs that day. But, as the day goes on, you might feel more and more irritable, anxious and bored. Perhaps your mind races, and you start to plan when you’ll be able to take a drink, a dose or a hit. Maybe you have started hiding your drinking and drug use, especially if loved ones have begun expressing their worry and disapproval. You might be struggling to afford alcohol or to find a doctor who will give you a new prescription. You may wonder how you can get through the day without drinking or drugs. If you are questioning your drinking or drug use, you are not alone. While the ratio of men to women struggling with substance abuse used to be five to one, more recent surveys show that the ratio is now three to one. More and more women have begun to binge drink, use illicit substances or abuse prescriptions medications. In part, this is due to shifting cultural standards about appropriate behavior for women. Women are also much more likely to experience certain kinds of trauma, and 80 percent of women who struggle with substance abuse have experienced trauma in their lifetimes. Alcohol and drugs can seem like a way to numb the pain, even if just in the short-term. Women are more susceptible to addiction and to physical damage from drinking and drug use. For example, according to the CDC guidelines, if a man drinks more than 14 drinks a week, it’s a cause for concern. For women, that number is 10. Women’s bodies process alcohol and other substances differently from men, and unfortunately suffer greater negative consequences from the same, or even smaller amounts of substances than men. In addition, women who struggle with addiction – especially mothers – are subjected to more criticism and shame than their male counterparts. It can be very difficult for women to identify when they have a problem and to feel as though they won’t be judged if they seek help. Thankfully, with compassionate support, you can begin to better understand substance abuse and find healing. If you are questioning your drinking and drug use, it is very important to seek a thorough assessment. By working with a qualified therapist, you can decide whether or not you are experiencing symptoms of addiction. If you are able to seek help early enough, you can learn effective ways to cut back on and control your use. However, if your worrisome use goes on too long without an intervention, it may develop into a more serious issue. If you are unsure of the severity of your struggles with alcohol or drugs, I can help you identify what level of care may be appropriate. I treat every client as a unique individual, and I will work with you to figure out the best solution for you. In substance abuse treatment sessions, I will meet you where you are, regardless of whether or not you are questioning your use or actively trying to abstain. I will not force you to take any steps that you are not ready to take. Therapy can be a nonjudgmental place for you to come and start exploring how substances are impacting your life. Together, we can unpack the other issues in your life that may be contributing to substance abuse. It is incredibly common for substance abuse to go hand-in-hand with depression, anxiety and trauma. I will use evidence-based treatments that can address your dual-diagnosis and help you develop healthier coping skills when life seems especially challenging. I have experience working in integrated medical care, which means that I can also help you talk to your doctor and start to wean off of addictive prescription medication in a manageable way. Also, while this page has primarily addressed alcohol and drugs, it is important to remember that nicotine is one of the most addictive substances out there. If you are struggling to quit smoking, I can utilize my specialized training to support you as you overcome barriers to a nicotine-free life. So many women feel ashamed of their drinking or drug use. But, substance abuse treatment sessions are a safe, compassionate, non-judgmental place. No one plans or decides to have a problem. Addiction is a disease, just like high blood pressure, and with help, you can develop the tools you need to manage it. Drugs and alcohol don’t need to have control over your life. As a therapist, I have seen so many people learn to change their view toward substance use and experience incredible positive change in their lives as substance use starts to take a back seat to the rest of living. You have no idea how great your potential is without substances holding you down. I believe in your ability to make remarkable, positive change and live the life you want. Are you just going to send me to AA or some other treatment center? AA has helped many people, but it is not the only form of substance abuse treatment and support out there. 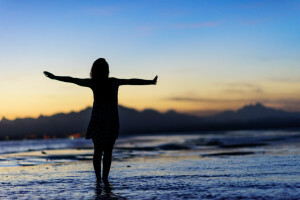 There are many other options for women develop by women, such as WomenForSobriety.org. In addition, I would never “just send” you away to a treatment center. I will work with you as an individual to figure out your needs and consider the best possible care for you. I would never force you to go anywhere that you don’t want to. If a treatment center seems like the best option, I will help you connect to resources and work through this difficult decision. I don’t want people to know I am seeking substance abuse treatment. I offer confidential sessions, and no one has to know that you are seeking substance abuse treatment if you don’t want them to. In addition, even if someone sees your car in my parking lot, they will not know why you are coming to therapy. Seeking the help and support of a therapist is nothing to be ashamed of. In fact, it is a very brave decision. Aren’t you going to have to tell my probation officer about my use? I do not specialize in court-involved substance abuse treatment. If you are seeking help due to a court order, I can only offer you my services if I do not have to report back to the court. If this is not your situation, you may need to work with someone who does specialize in court-involved therapy. There are many people who specialize in court-ordered evaluations, and you should be able to find them by googling “CSAC Hilo” or reaching out to major substance abuse organizations. If you are ready to stop letting substances control your life, I invite you to call (808) 747 3445 for a free 15-20-minute phone consultation. I’m happy to answer questions you have about substance abuse treatment and my practice. National Institute on Drug Abuse: What are the unique needs of women with substance use disorders?